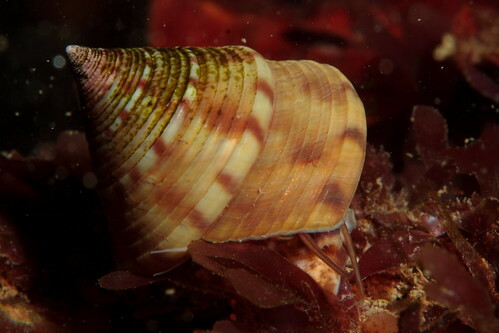 Also known as the common topshell, this shell has a striking cone shape with stripes of purple and white. The body of this snail is as colourful as its shell, flecked with purple, red and brown. The painted topshell can be found on rocks and under stones on the lower shore, and down to a depth of 100m. This beautiful gem is distinctively shaped, with striped ridges and three dark brown spots. 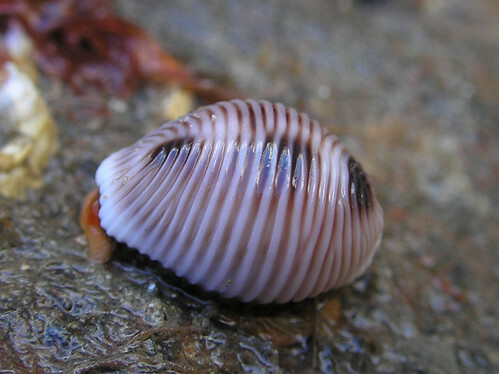 The shell has a polished appearance, with colour ranging from pink and purple to brown. They can be found anywhere in the UK, usually among rocks, but they are not very numerous. This small shell is no bigger than your little fingernail. Also known as the Atlantic dogwinkle, this species prefers rocky shores. 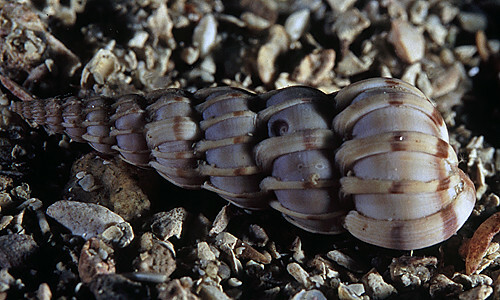 The shells are plain white or grey, sometimes patterned with dark brown spirals, and occasionally even green, blue or pink. Dogwhelks declined when tin-based paints were used on boats – the paints have now been banned following a campaign by the Marine Conservation Society. The word wentletrap originates from a Dutch word meaning spiral staircase. Living on the south and west coast of Britain, this species is often found in water down to 80m, but migrates to rocks on the lower shore during the spring and summer to spawn. The shell has conspicuous diagonal stripes. Live specimens have only rarely been observed. Size: up to 4cm high. This conical shell has a blunt tip and is a familiar sight on all British shores, stuck tightly to rocks. 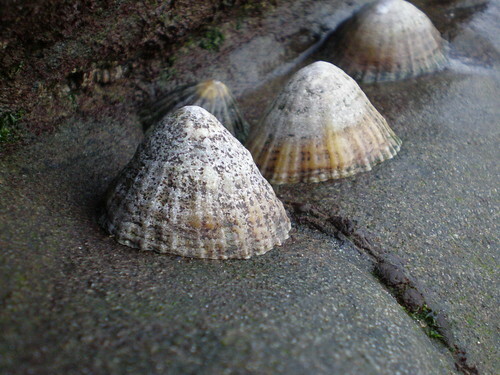 Limpets graze on algae, then return to a home scar (a mark on the rock to exactly the shell’s shape) when the tide retreats. The living shells are shorter in height the further down the shore you go, and are often encrusted with barnacles. Size: up to 7cm long.